Enter the world of beautifully crafted, hand-drawn animation cels in our exclusive Animation Art Section! One of the things that set ThunderCats apart from the other cartoons from the 1980s was its beautiful animation. Discover original artwork and production material while finding out information on how to start your very own animation art collection!! 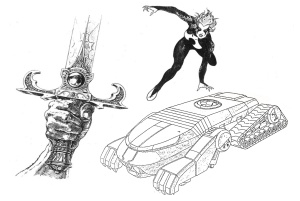 A community gallery showcasing some of the best known examples of Thundercats original artwork used to create the cartoon. 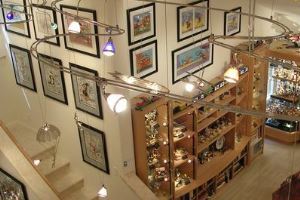 Examples of pieces from numerous collectors are showcased here. Examples of original handpainted watercolour backgrounds, one of a kind cels, handdrawn pencil work, concept art are all shown. The section includes examples of error cels, and some unique insights into how the animators created the masterpiece cartoon series. 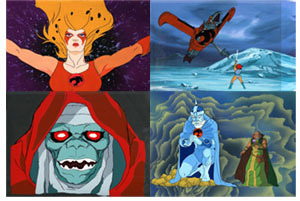 Experience the artwork of the ThunderCats cartoon as you’ve never seen it before! This section includes amazing examples of art and other materials used to create the show. It includes animators guide sheets, concept art, storyboards and an exclusive copy of the pilot episode script and early concept art.